. إن الخدمات الممتازة وحسن الضيافة العالي في فندق ذا فيكتوريا تجعل إقامتك تجربة لا تنسى. يمكن للنزلاء الاستمتاع بالميزات التالية: واي فاي مجاني في جميع الغرف, خدمة التنظيف يوميًا, خدمة غسيل ذاتية, خدمات بريدية, مجهز لذوي الإحتياجات الخاصة أثناء إقامتهم في هذا المكان الرائع. في فندق ذا فيكتوريا غرف نوم يزيد عددها عن 370 صممت بذوق وعناية لتوفر لك كل وسائل الراحة . بعضها يحتوي أيضاً على خزانة, مناشف, تلفزيون بشاشة مسطحة, اتصال لاسلكي بالإنترنت, مسبح خاص. يقدم الفندق العديد من الفرص للاستجمام كمثل مركز للياقة البدنية, ساونا, مسبح داخلي, سبا. يشكل فندق ذا فيكتوريا بخدماته الراقية وموقعه الممتاز، قاعدة مثالية للاستمتاع بإقامتك في المدينة. Victoria hotel location is easy and near to every where. Inside hotel are clean, all staff is friendly and helpful. People in Melbourne are nice. This is my 1st time to visit Melbourne, i had really love him much and will visit again and stay in the same hotel too. Housekeeping is terrible. After we request for make-up room, our blankets were missing. No bin was provided too. Poor accessibility to our room. We were allocated to a different wing which requires 2 separate lift to reach our room. Renovation is ongoing hence there is a paint smell in the room (upon entering) and along the corridor. The compressor from the Fridge is loud hence we have to switch it off when we sleep. Dear Yuqin, Thank you for taking the time to share your feedback. We hope to welcome you back to our hotel very soon! Sincerely, The Victoria Hotel Management. A/C is not working two nights out of the four nights we stayed. After the first night, I called the reception and it was fixed. For the last night, I called and no solution. The room was boiling hot and could not sleep the whole night. Location is the only good aspect of the hotel. Will not recommend. Dear Huixian, Thank you for taking the time to share your feedback. We hope to welcome you back to our hotel very soon! Sincerely, The Victoria Hotel Management. I have been staying at this hotel for a couple of decades now and have witnessed the progressive refurbishment of this hotel. 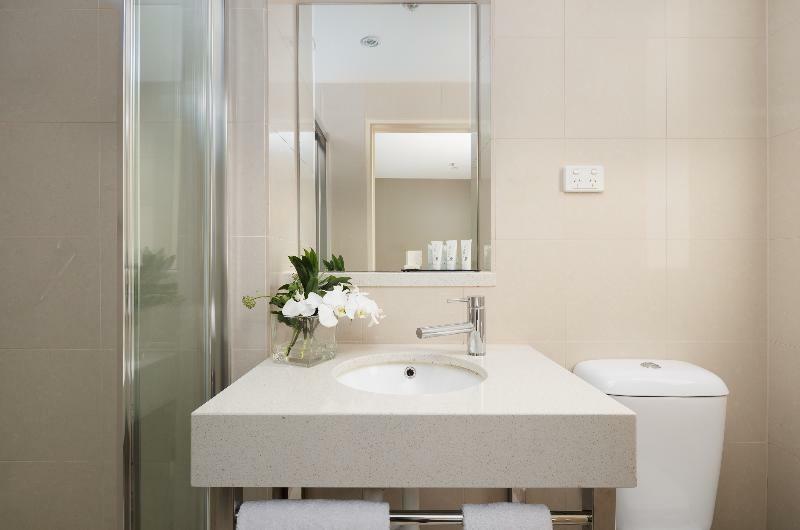 The rooms are now great with clean and modern bathrooms, a great reception, a bar and a pool, sauna and spa. This is my favourite place in Melbourne and the most central location possible. Happy to recommend this stay. 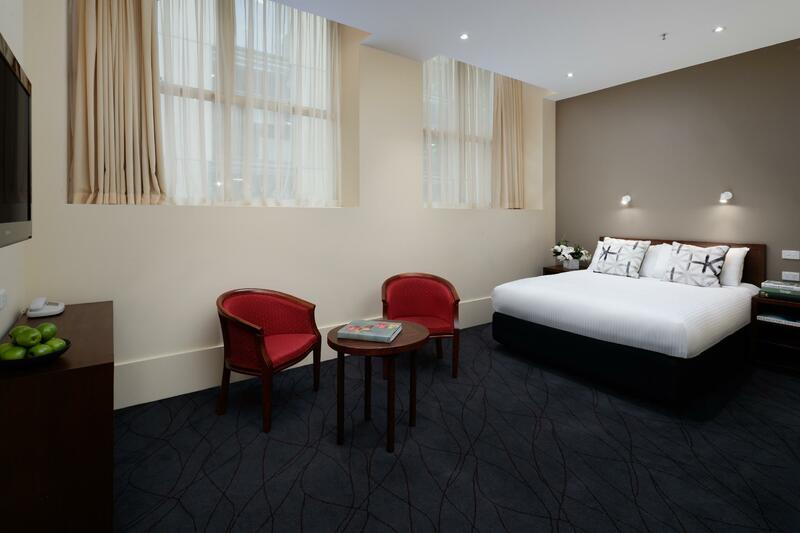 Location is excellent, just a short walk to Flinders Station/Federal Square and also to the Burke Street mall and Central. Good, spacious, clean and quiet rooms. We had a breakfast package and the breakfast was decent but very good taste. Would choose again if coming back to Melbourne. 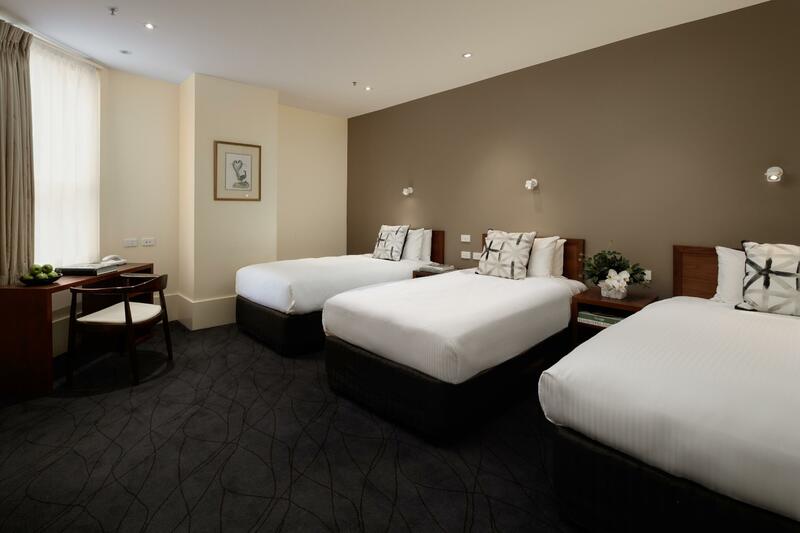 The staff was very nice, location is really great, short walking distance to bourke st mall and federation square, room is very clean with comfy bed. The only small downside is we have to change lift twice to go to our room with long walk, as property has 2 connecting building, if the other building has ground floor with entry and exit access that will be great. Overall we are happy and satisfied with our stay! Room and bathroom are big. Pretty clean room but just that the lighting in the room could have been brighter. 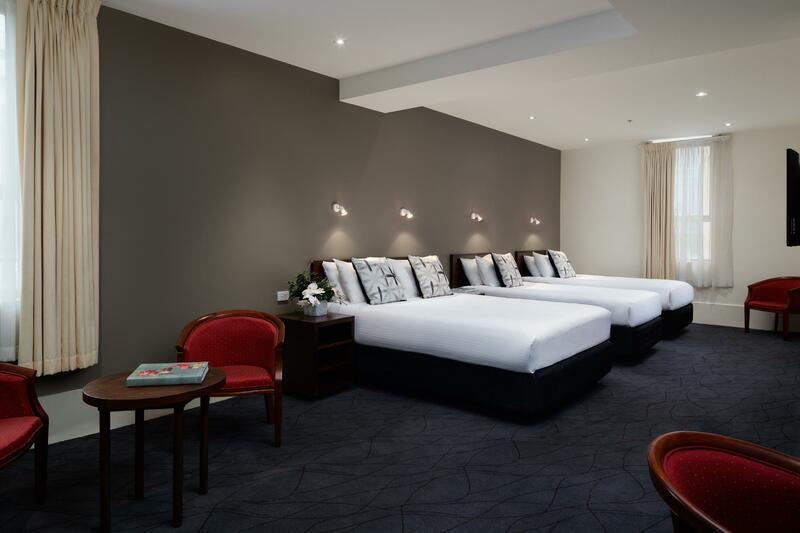 Overall, a good place to stay if you are moving around in central Melbourne and getting free city tram with the free-zone. Staff are helpful. The location of this hotel is fantastic. It’s currently being updated, which is good as it is a little dated. But for the price I paid for such a central location, I was very happy. The bed is also very comfortable. The hotel is quite nice and clean but on the expensive side. Very close to everything. Too many doors in between wings, and there’s no sleepers on the room. We stayed at The Victoria Hotel as we had a work function on . 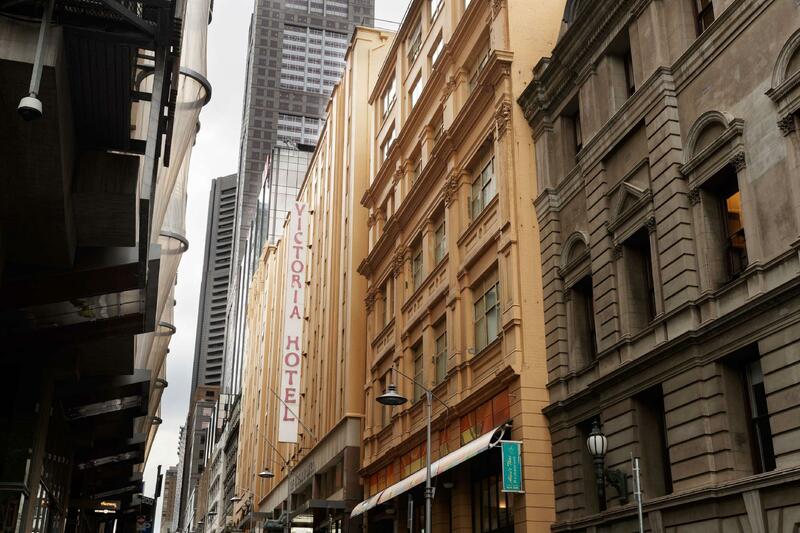 It is close to all the action, 5 min walk to Bourke Street mall and same to Theatre district. Comfortable clean room which was quiet .. Very reasonably priced considering it is in CBD!!!. Love the history of the Hotel. Friendly staff. Would highly recommend and would definitely stay there again. Dear Stephen, Thank you for the great review of our hotel! We are glad that you enjoyed your stay and hope to see you again very soon. Sincerely, The Victoria Hotel Management. On the first night, there were blood stains on the bed sheets and blanket cover. We thought it was permanently there and couldn't be washed off, i.e. should be a clean bed sheet just that it will never be washed off. Thus we ignore it. Thou, we feel uncomfortable when we lie on the bed, we thought maybe we were wrong. On the next day, we noticed that the blood stains were still there. It was so obviously that the housekeeping did not change the bed sheet and blanker cover. They only did the bedding without changing the bed sheet and blanket cover. We quickly called the front desk and asked for either change the room or replace the bed sheets and blanket cover with the new ones. However, the front desk asked us to change the bed sheet OURSELVES. Yes, asking the guest to change the bed sheet!!!!!! We were so shock and mad. So are they treating their guest as the housekeeping? Should I report this to the local authority? Wonder how the company could they get their hotel license. Stayed here for 3 nights. We arrived early and we were allowed to check-in. Building is a bit old (Victoria Hotel is about 125 years old anyway) but it's still very well maintained. The room is cleaned daily and they replace the towels and toiletries which we really appreciated. There's complimentary tea and coffee as well. Electric water heater is also provided for your brewing needs. Service was really good as well. One time we needed a knife to cut the cheese we bought from the Queen Victoria Market and it was around 11PM but they still responded pretty quickly. I think they brought it to our room in less than 15minutes after I called the reception. So that was an indication of their good customer service. They have indoor pool and gym as well which unfortunately I wasn't able to try out since we were out on tours the whole day. Overall, I would definitely recommend The Victoria Hotel. 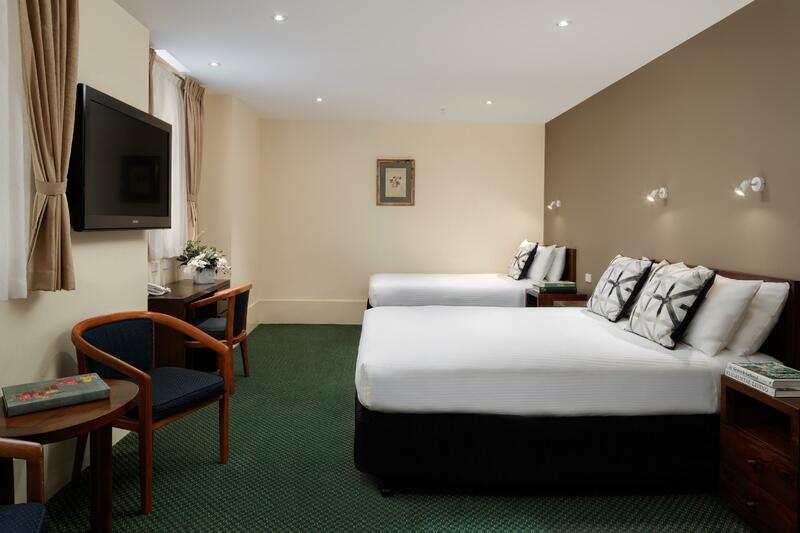 Good price for deluxe room with one queen bed and twin single beds. Dear Chee, Thank you for the great review of our hotel! We are glad that you enjoyed your stay and hope to see you again very soon. Sincerely, The Victoria Hotel Management. Very good location : 10 mins walking to China Town, similar distance to the nearest bus station of the famous line 35, 15-20 mins walking to southern cross station. Room was clean and bed was comfortable. The only reminder is to keep luggage after checking out charged me 7 AUD which I never experienced in other hotels before. All in all, I stayed one night and my wife and son all enjoyed. Nice and close to everything but at night noise from the surrounding pubs and nightlife filtered through to our room. The pool was only small so don't expect to actually swim but it was nice to cool down in after the sauna and spa. The gym is also only small but still, at least they have some equipment!The staff were friendly and they organise cheap airport shuttles! The room that we lived in (4124) was beyond our expectation. I braced myself as I read some negative reviews. Turns out, we had a great stay in the Victoria Hotel. The location is amazing.. About 9 minutes walk to Flinders station, a few minutes walk to food joints and restaurants and famous landmarks. The room was absolutely clean. Although a little dated, I guess it adds to the charm of this hotel. The wifi is alright. Just make sure that you are an Accor member. The registration is free. The staffs on duty was warm and friendly. Kudos to them. It is really a home away from home..
We enjoyed our time at the hotel. 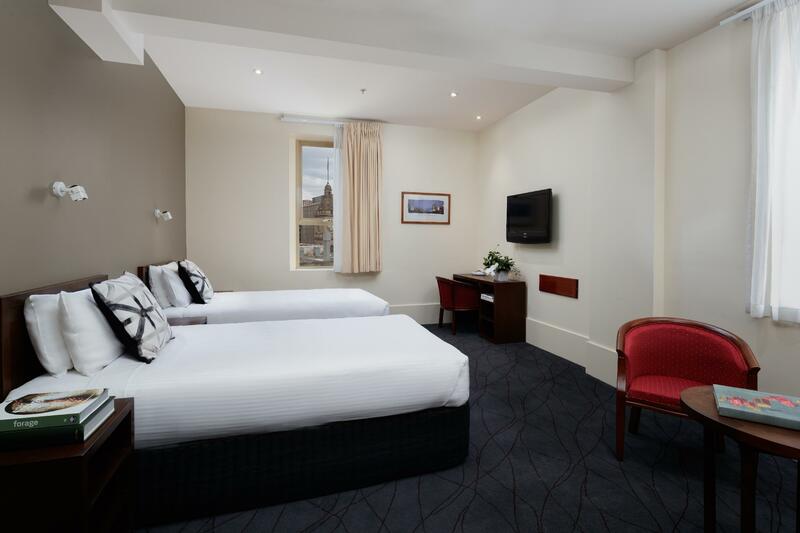 Hotel was excellently located in the city close to trams and Flinders Train Station. Restaurants, convenience marts and pharmacies are close. Staff was very helpful. Room was quite spacious considering the reviews we read. Bathroom was as big as the room (we got a queen + single room). We will definitely stay here again! The rooms are small, but comfortable - the bed felt great. Location is absolutely perfect for the city, and the car park is right next door. It did take a few minutes to get the car back out of the car park, but not a big deal. Nice old hotel.